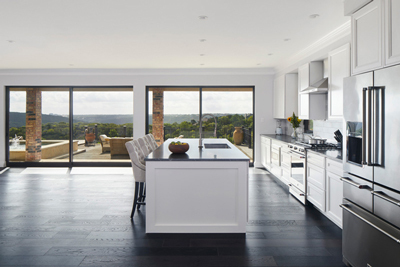 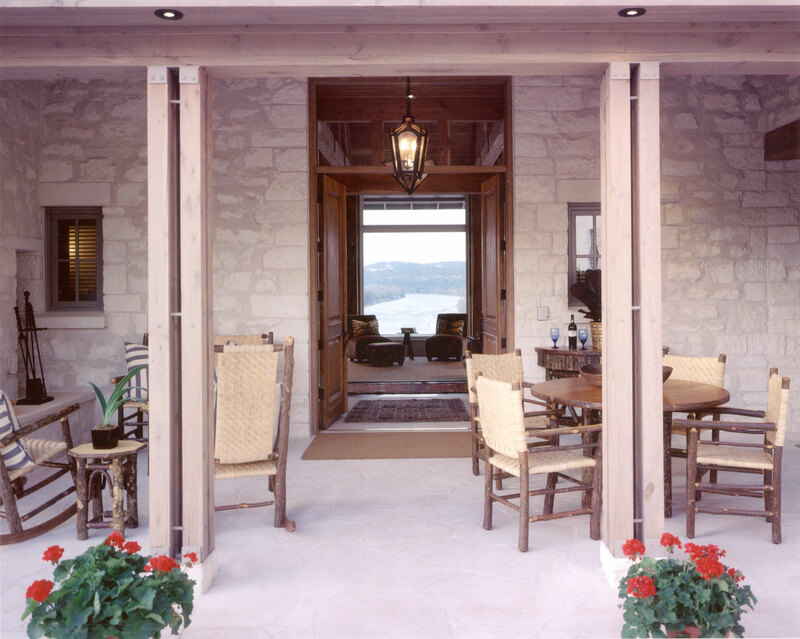 This home is situated on a cliff overlooking the dramatic Lake Austin landscape on one side and a deep canyon on the other. 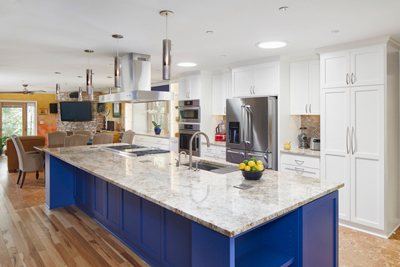 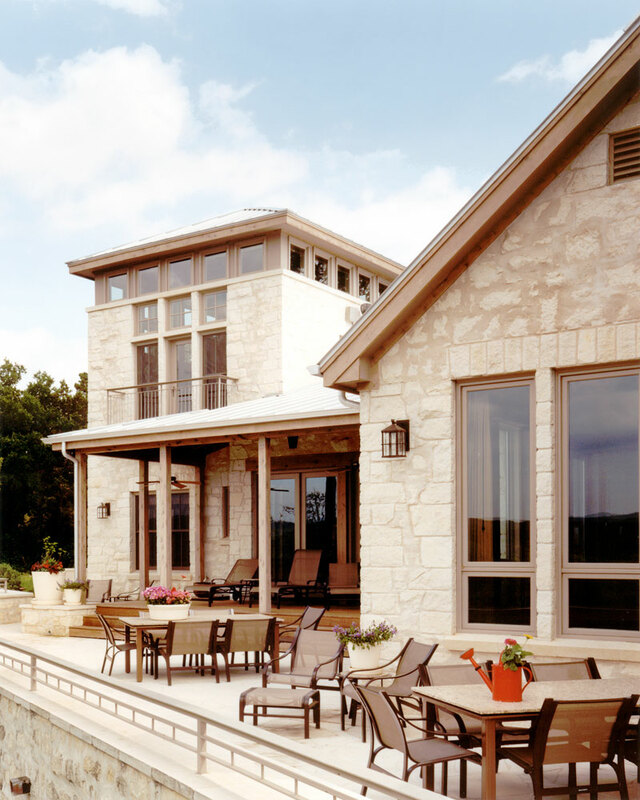 The design incorporates a main house, guest house/workshop/ garage, boat house/screened porch, lake cabana and pump house to create a comfortable place to entertain family and friends and to minimize regular maintenance. 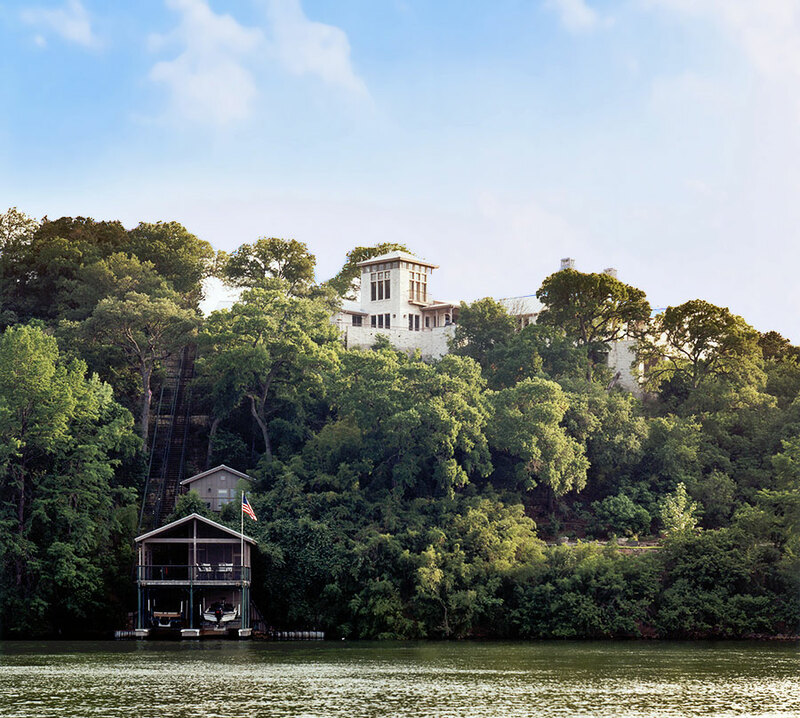 A 170 ft. electric tram scales the cliff face, connecting the main house and guest house to the cabana, the boathouse and the lake. 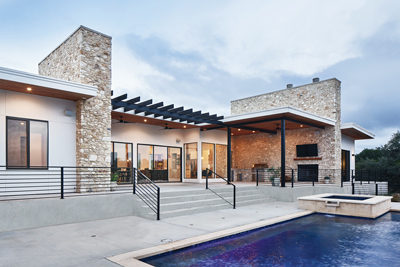 The design of the house, along with its careful positioning and sizing of openings, creates a vibrant dialogue between interior and exterior. 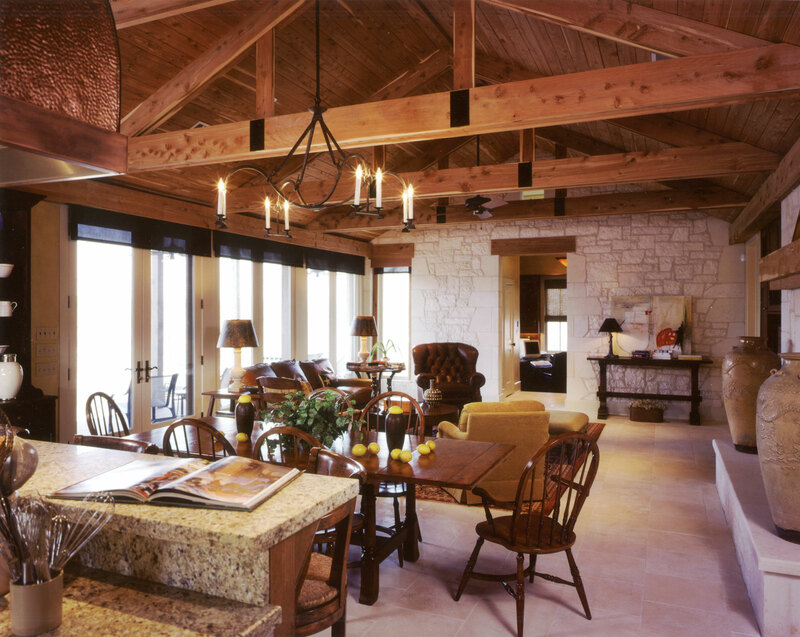 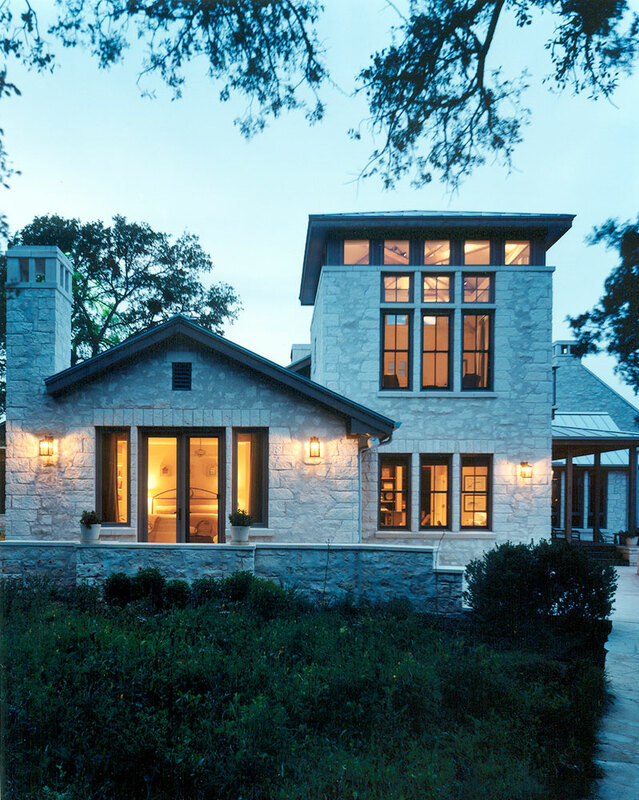 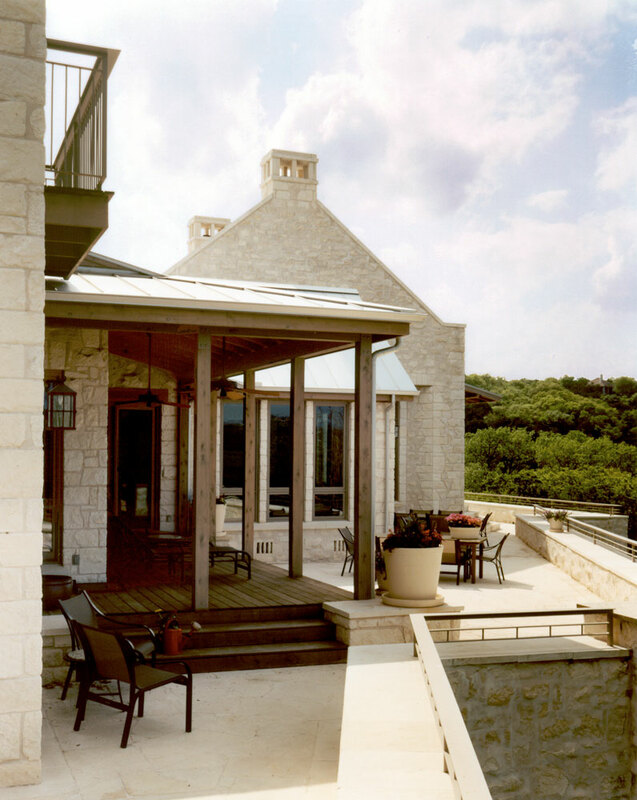 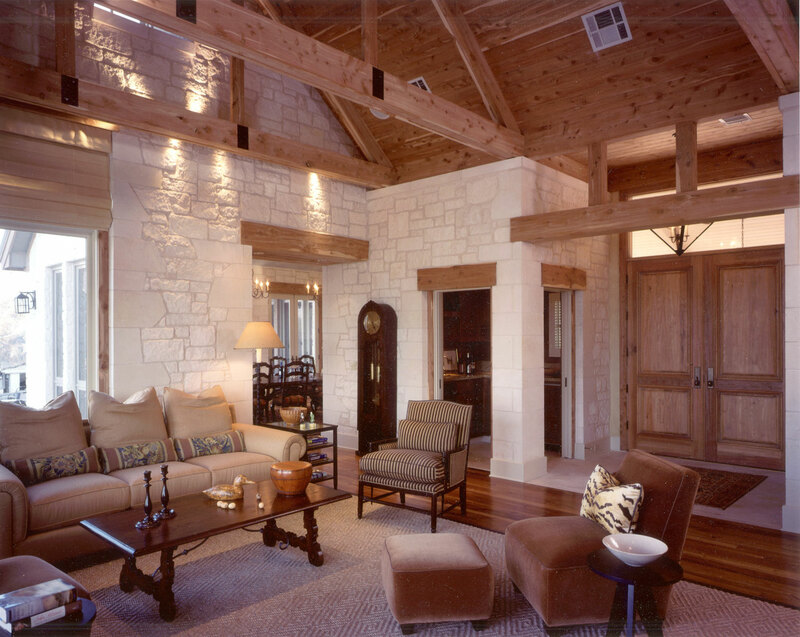 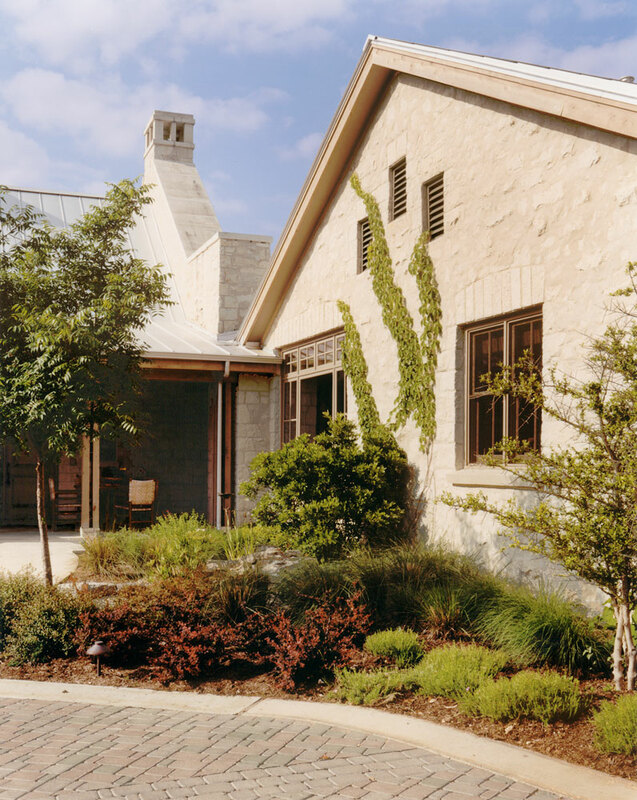 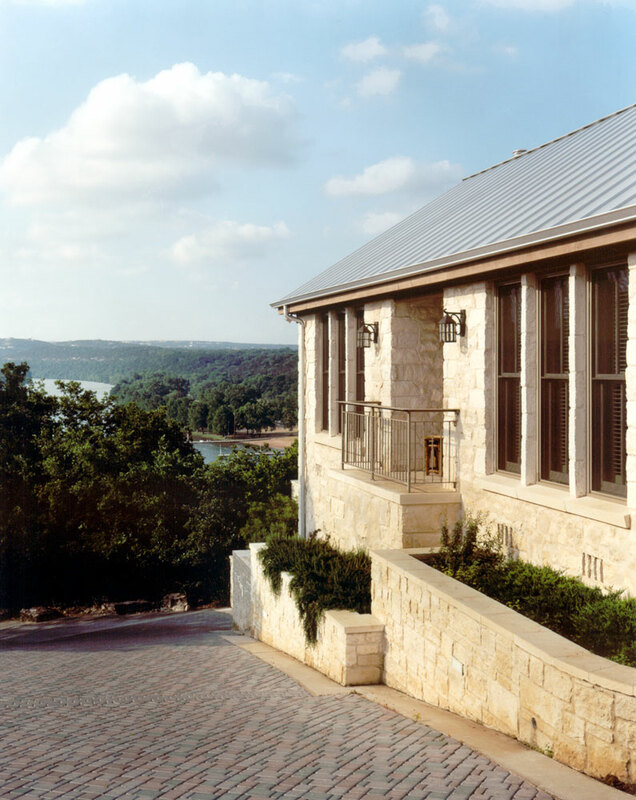 The materials used throughout, such as limestone, standing seam metal, long leaf pine, granite and solid masonry, allude to the home’s Texas heritage and give it a look of stability and solidity atop the steep cliff on which it stands.